Motorola’s next flagship smartphone, the Moto X+1 is started to see frequent leaks as it’s launch date gets near. Just yesterday @evleaks posted what he claims are the official press renders of the Moto X+1. 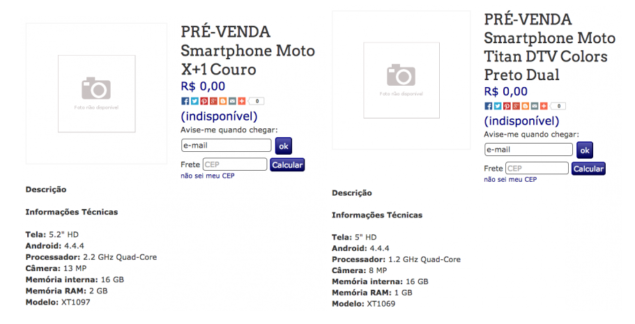 According to the renders, the Moto X+1 will be quite different from the original Moto X. 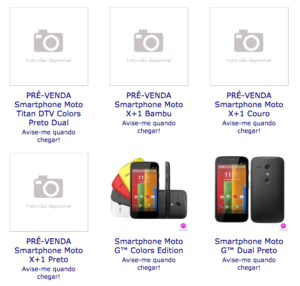 Well, today more details of the Moto X+1 have popped up. 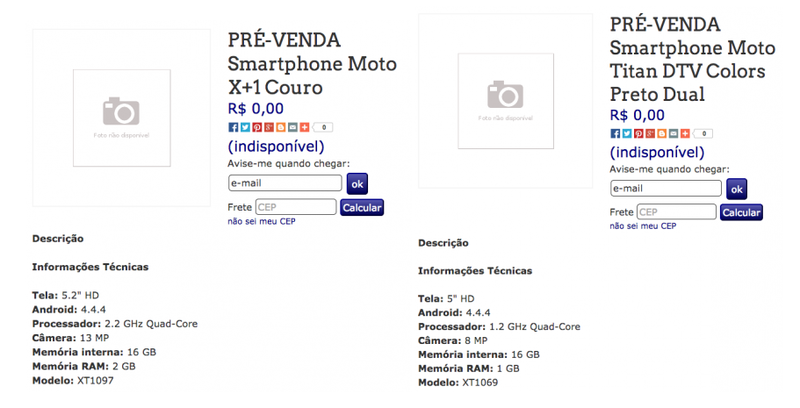 The Moto X+1 has been listed by the Brazillian vendor Livaria Logos and it’s specs aren’t that impressive. Before we go into further details, it would be wise to remember that this isn’t the first time Livaria Logos has listed the Moto X+1 on it’s site. Even before we knew the release date of the smartphone, 2 months back detailed Moto X+1 specs were listed on the Vendor’s website. The specs posted then are somewhat similar but do feature a couple of changes. Back then, the Moto X+1 was touted to come with a 2.3 GHz Snapdragon 800 coupled with 2 GB RAM and 32 GB of internal storage. The screen size on the device was to be 5.2 inches with a 1920 x 1080 resolution. The Moto X+1 listed this time on Livaria Logos is to come with a 2.2 GHz quad core processor with 2 GB of RAM. This will be supplemented by 16 GB of internal storage and a display size of 5.2 inches. Camera for the Moto X+1 will have a resolution of 13 Megapixels and the device will be running on Android 4.4.4. A month back a video appeared showing what possible was the Moto X+1 running Android L. We guess the device wasn’t the X+1 after all. As you can see above, that’s all we get from Livaria Logos at this point. However, we can get a complete picture of the device if we plug in a GFX Bench Benchmark which appeared a month back. The codename for the device, XT1097 is the same on the benchmark and on the listing. The Moto X+1 benchmark showed the device with a similar 5.2 inch screen and a resolution of 1920 x 1080. However the processor frequency was somewhat different and confusing on the benchmark. The frequency for the Moto X+1 benchmark was shown as 2.5 GHz yet the processor was labeled as the Snapdragon 800. This led to speculation that perhaps the processor was named incorrectly as the Snapdragon 800 can achieve only 2.26 GHz. But with the listing which shows processor frequency as 2.2 GHz, perhaps the processor for the Moto X+1 really is the Snapdragon 800. A downer for sure, but specs weren’t the X series main selling point anyway. 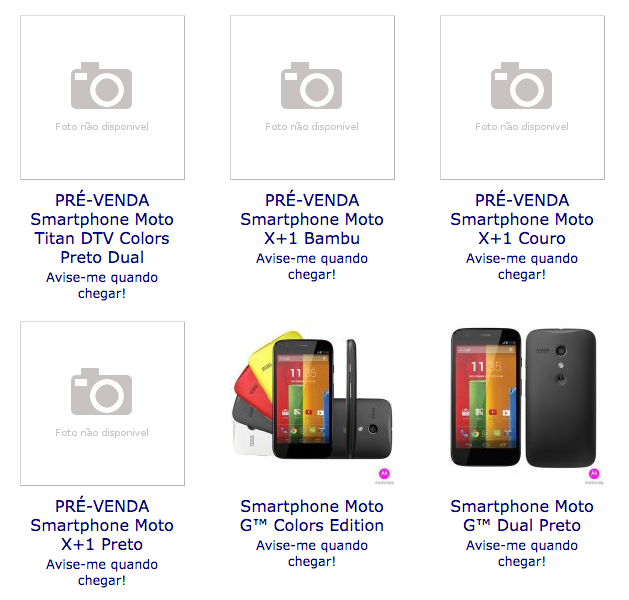 The listing for the Moto X+1 has three different options which are differentiated on the basis of material backs. These are namely black, bamboo and a leather option for the device. This shows once again that the Moto X+1 will not disappoint when it comes to offering users customization options for device looks. The Moto X+1 launch is nearly upon us with Motorola having given a launch date of September 4th which is only 2 weeks away.